Keto chicken recipes are a great way to add more protein to your diet without sacrificing on taste! When it comes to proteins, chicken is our go-to source. 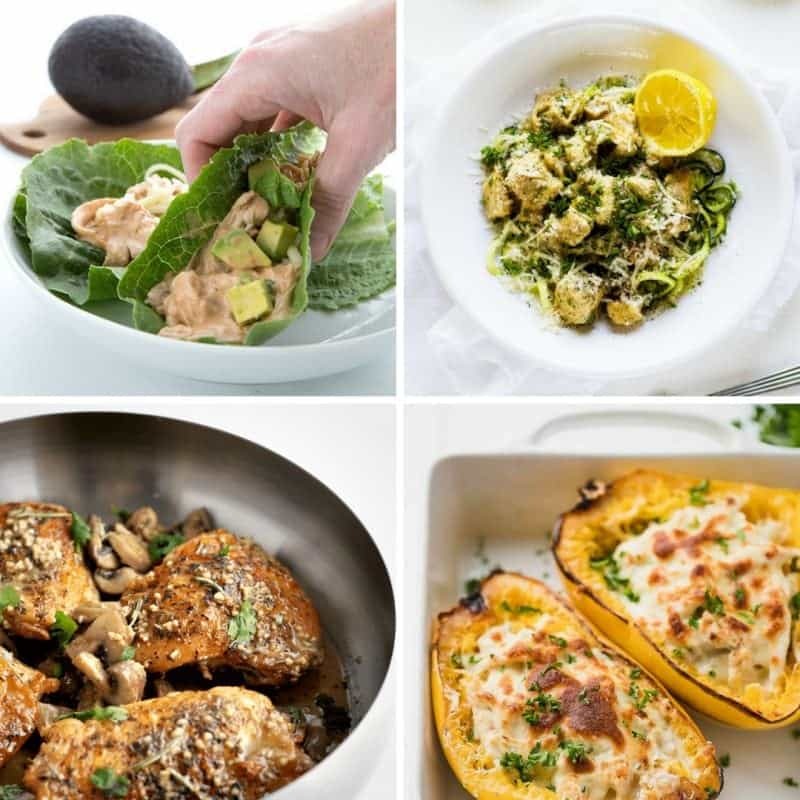 It’s filled with healthy goodness and is so versatile that you can eat it nightly without ever getting bored – especially when you try these delicious Keto chicken recipes! One of the best things about the yummy chicken recipes below is that they’re perfect for busy families. There’s even a healthier version of mac and cheese that’s loaded with chicken to satisfy even your pickiest of eaters. My kids especially like the chicken nuggets in the air fryer. Not only do they taste delicious, but they’re a healthier version of a kid-diet staple. That’s a definite win-win for me! If you’re new to the Keto lifestyle, you’re probably realizing that it’s all about reducing the intake of carbohydrates and increasing the amounts of protein and fats that you eat. It can be a real challenge to eliminate carbs when you’re cooking protein (think about all the times you use breadcrumbs, rolls, bread. etc. for a dinner or lunch). 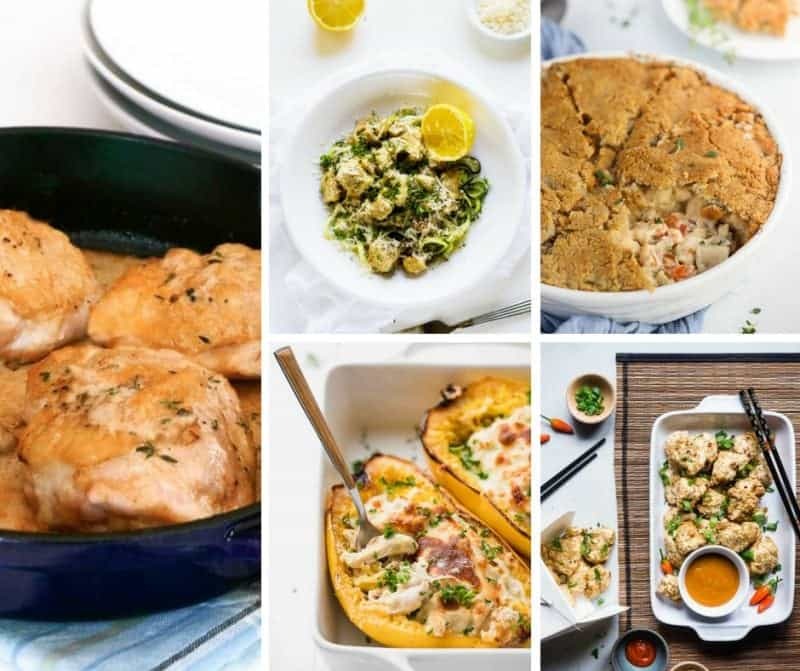 Thankfully, these 20 Keto chicken recipes make it easy to load up on the things you want to include while making it barely noticeable that the carbs are gone. 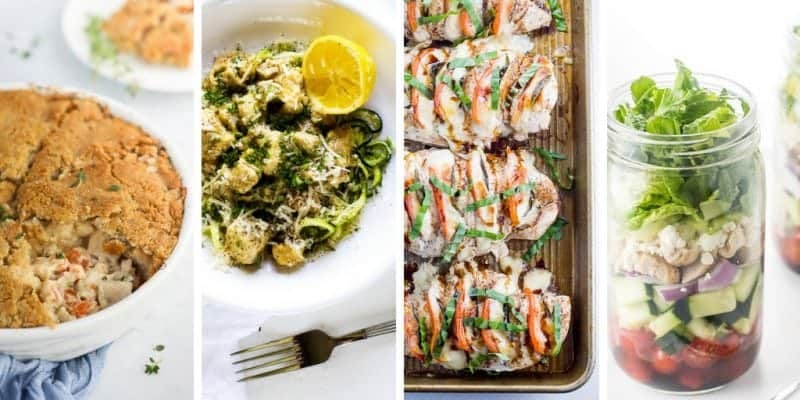 The recipes are the perfect way to ease into the Keto lifestyle. Be sure to try some new Keto drinks, desserts, pizza, and dinner ideas too! 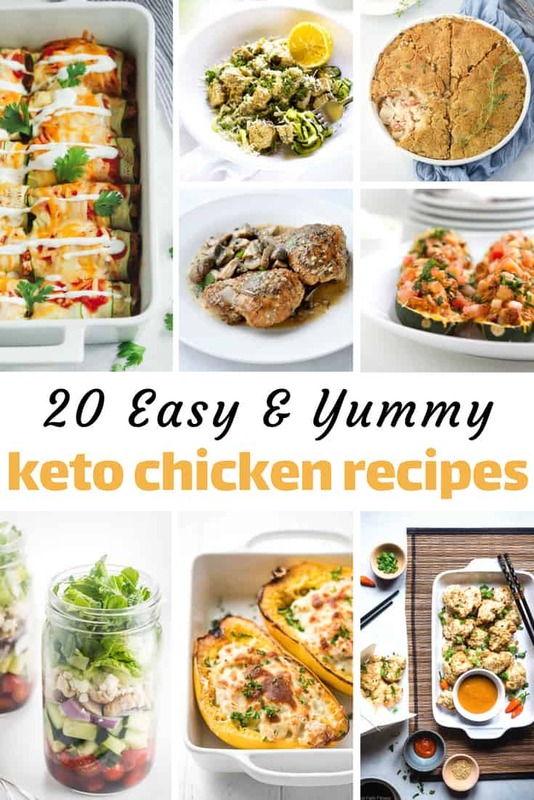 Whether you’re a Keto pro or are just finding your way, the Keto chicken recipes below are a must-try! Do you have a favorite Keto chicken recipe you think we should try? Leave a comment below and tell us about it! We’d love to try something new! Thanks for the shout-out for my Low-Carb Baked Mayo Parmesan Chicken!